Getting back to a traditional Communion Look! it is perfect! 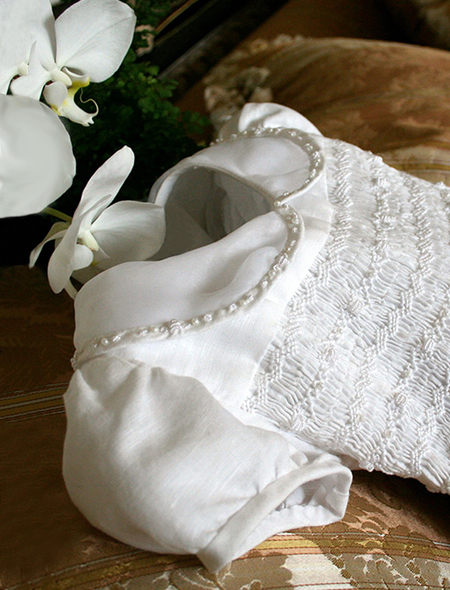 Diminutive luxuries hand embroidered on collar and hand smocked bodice are a tribute to the spirit of remarkable craftsmanship for your flower girl dress, communion dress, and special events. 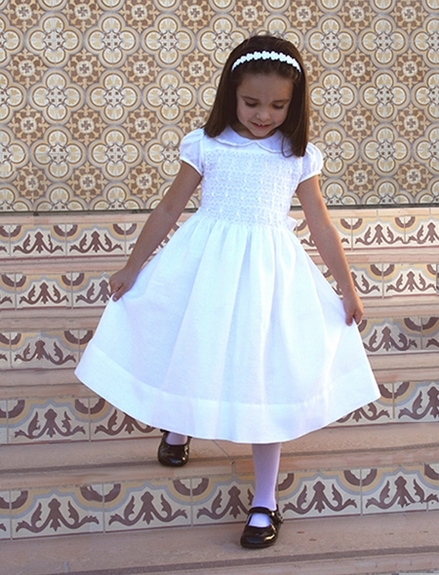 Hand smocked dress Hand embroidered bodice and peter pan organza collar with pearl detailing Short sleeve Available in cotton, linen, or silk Ballet length Petticoat attached Matching diaper cover for infant sizes Dress can be customized. Custom cuts, different sleeve, additional length, color matching to bridal party, etc. Contact us for additional details.